I used to drink Diet Coke a lot. And when I say a lot, I mean A LOT. Like every. single. day! Seriously. Diet Coke was a staple of my diet, if it’s possible for something with zero calories and a lot of artificial ingredients to be a staple. At restaurants, I would take pride in seeing how many free refills I could drink in one sitting. Most sit-down restaurants would take my empty glass to the back to refill it, but many would not, instead bringing out the a fresh one every one. I haven’t been there in a while to see if this is still in place, but one restaurant in particular, BJ’s Brewhouse, would bring each refill in a new glass with a new plastic straw. It didn’t bother me at the time, but it sure does now. It has been said that Americans consume upwards of 500 million disposable plastic straws every day. That is insane! I do wonder where that number actually comes from and if it is at all inflated, but then I think about my experience going through several straws in one sitting and think the number is possible. 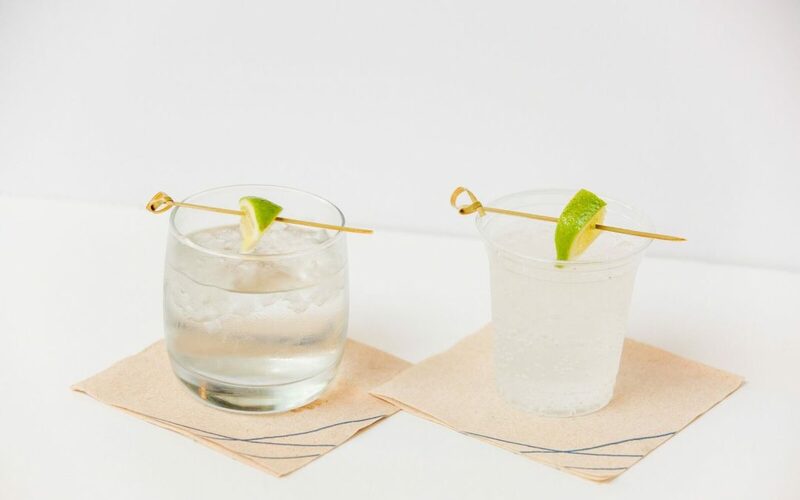 Effective July 16 of this year, Alaska Airlines will completely discontinue the use of plastic straws and stir sticks (they doled out 22 million of them last year alone)! Paper straws will be available upon request. Plastic stir sticks will be replaced with bamboo sticks. And, they have committed to reusing plastic drink cups multiple times rather than their previous practice of using new cups for drink refills. The Earth Day Network declared ending plastic pollution to be the theme for Earth Day this year, which was April 22. Plastic straws are of special concern because they cannot be recycled and theyv’e been shown to kill birds and other marine life. Since it started auditing its recycling efforts in 2010, Alaska Airlines has reduced passenger waste to landfill by 54%. Alaska Airlines has a goal of reducing its inflight waste per passenger going to landfills by 70% by 2020. People who don’t want straws will be happy because they will no longer receive them. Many people won’t even notice. People who do want (or need) straws will have access to them. Order your drinks with “no plastic straw” whenever you’re out. Challenge your friends and family to join you. 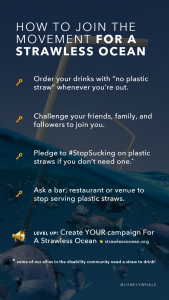 Pledge to #StopSucking on plastic straws if you don’t need one. 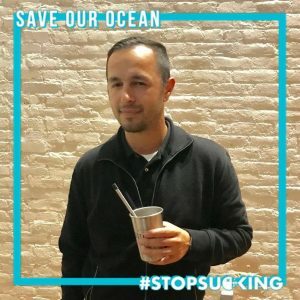 I’d also encourage you to show your support for California Assemblyman Ian Calderon who has proposed a bill that would make straws available upon request only statewide! In conclusion: straws are bad! Straws are nothing but garbage. They are of low quality plastic that cannot be recycled, and even if they could, they are too small and fall through the cracks at materials recovery facilities. Plastic straws are a huge source of litter and marine pollution and their use should be discontinued. Going straw free will save businesses money and reduce waste while improving their image. And for those of us who will use straws out of want or need, I encourage you to carry a reusable alternative to the ubiquitous plastic straw. If you don’t already, please follow me on Instagram @zerowasteguy.